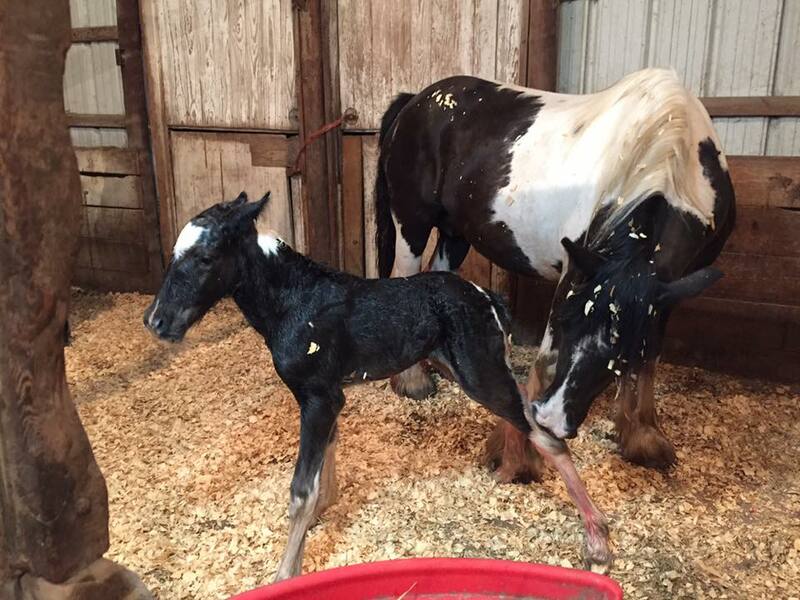 Emma Peel came to us in 2016 from our friends at Bandera's Gypsy Horses in Florida, along with her daughter, Avondale. Emma is a granddaughter of the famous Nobby. 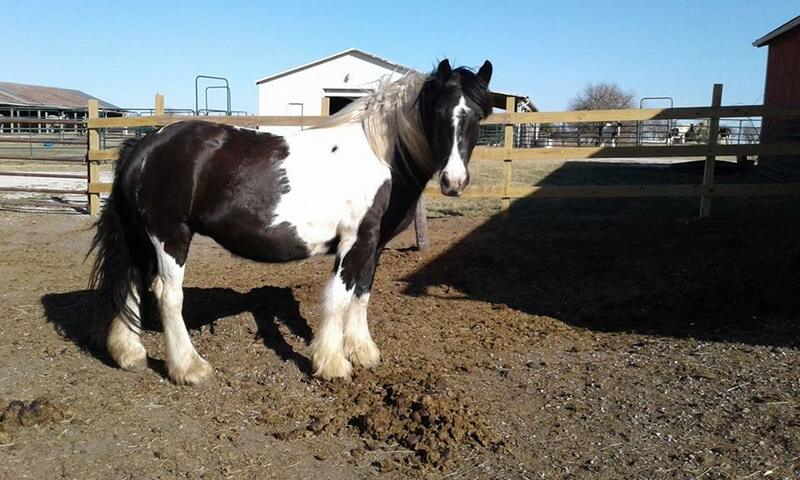 She is a big girl, standing 14.3 and with the mass typical of a good Gypsy. She has a sweet temperament and an easy going nature. Emma was added to our broodmare lineup and in 2017 she gave us a beautiful, flashy colt by Flynn (see Gunner). If schedules permit Emma may be started under saddle this summer. 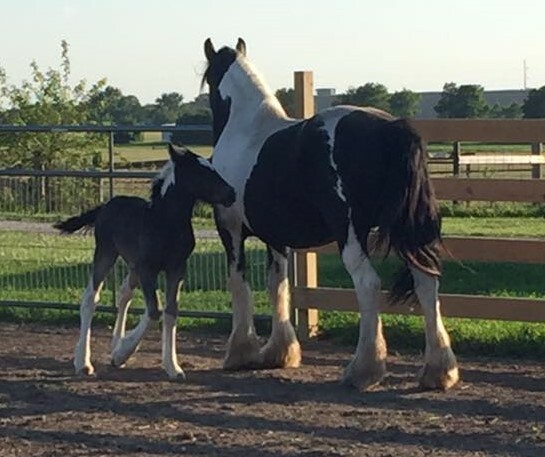 Thank you, Sherri Barnes, for allowing us to bring Emma Peel to Kansas and Flynt Hylls Gypsy Horses.